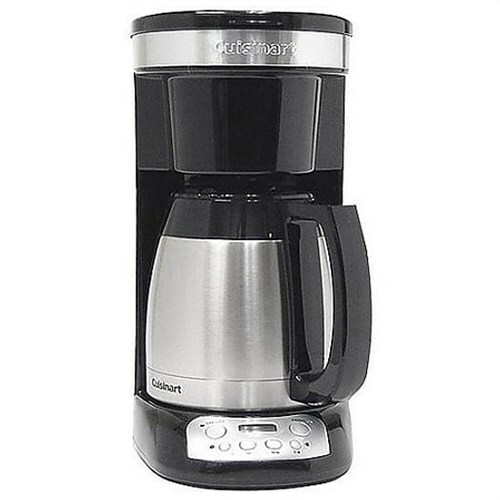 The Cuisinart FlavorBrew Black Coffeemaker is designed to preserve counter space as well as the fresh flavor of your coffee. The machine brews up to 10 cups of coffee at a time and offers 24-hour programmability, auto shutoff and 1 to 4 cup brew setting. It comes with 10-Cup thermal carafe with drip-free pour spout and comfortable handle for easy serving. The machine has Brew Pause™ feature which allows to suspend the brewing cycle to allow for pouring a quick cup mid-brew. The 60-second reset setting feature remembers where it was in the brewing process in case the power source gets interrupted. 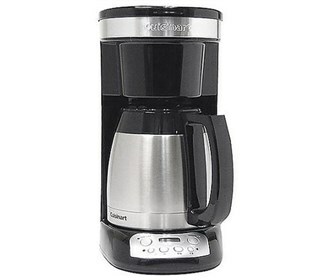 The Cuisinart 10 Cup Thermal Coffee has many exciting features for users of all types.